Background. During the past decade there has been a growing interest in bioenergy, driven by concerns about global climate change, growing energy demand, and depleting fossil fuel reserves. The predicted rise in biofuel demand makes it important to understand the potential consequences of expanding biofuel cultivation. 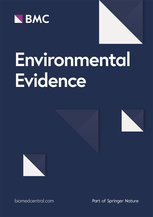 A systematic review was conducted on the biodiversity impacts of three first-generation biofuel crops (oil palm, soybean, and jatropha) in the tropics. 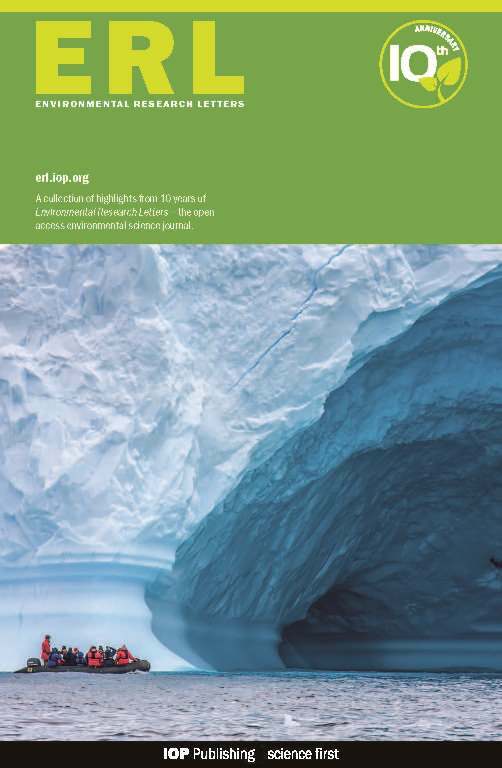 The study focused on the impacts on species richness, abundance (total number of individuals or occurrences), community composition, and ecosystem functions related to species richness and community composition. Methods. Literature was searched using an a priori protocol. 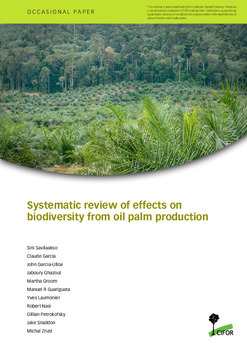 Owing to a lack of available studies of biodiversity impacts from soybean and jatropha that met the inclusion criteria set out in the systematic review protocol, all analyses focused on oil palm. 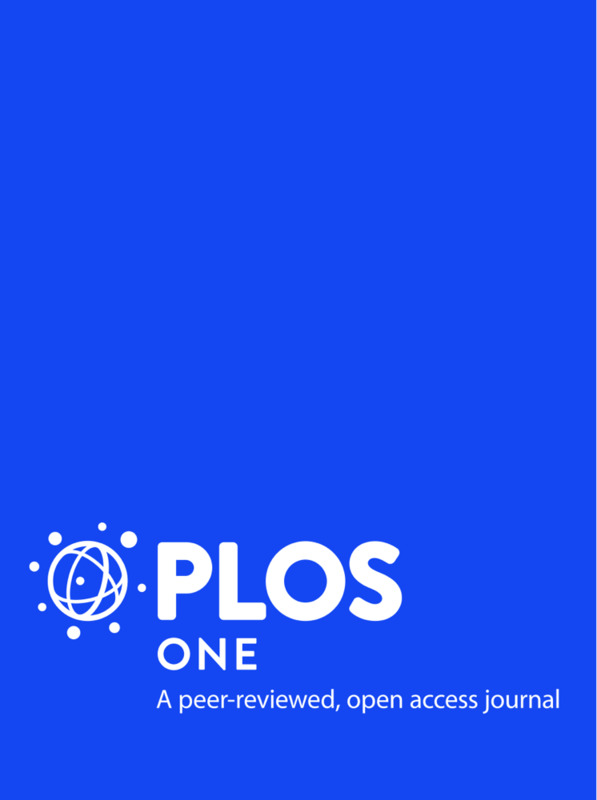 The impacts of oil palm cultivation on species richness, abundance, and community similarity were summarized quantitatively; other results were summarized narratively. Results. The searches returned 9143 articles after duplicate removal of which 25 met the published inclusion criteria and were therefore accepted for the final review. Twenty of them had been conducted in Malaysia and two thirds were on arthropods. 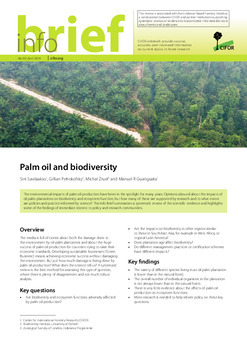 Overall, oil palm plantations had reduced species richness compared with primary and secondary forests, and the composition of species assemblages changed significantly after forest conversion to oil palm plantation. 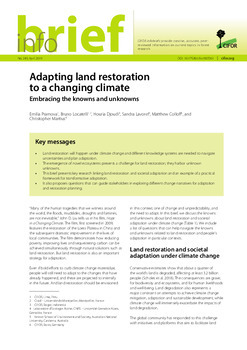 Abundance showed species-specific responses and hence, the overall abundance was not significantly different between plantations and forest areas. Only one study reported how different production systems (smallholdings vs. industrial estates) affect biodiversity. No studies that examined the effects on ecosystem functions of reduced species richness or changes in community composition met the inclusion criteria. 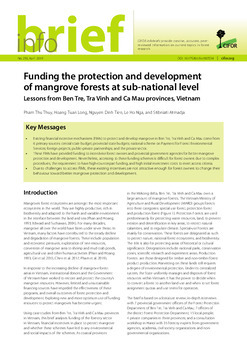 Neither were there studies that reported how areas managed under different standards (e.g. different certification systems) affect biodiversity and ecosystem function. Conclusions. Our review suggests that oil palm plantations have reduced species richness compared with primary and secondary forests, and the composition of species assemblage changes significantly after forest conversion to oil palm plantation. 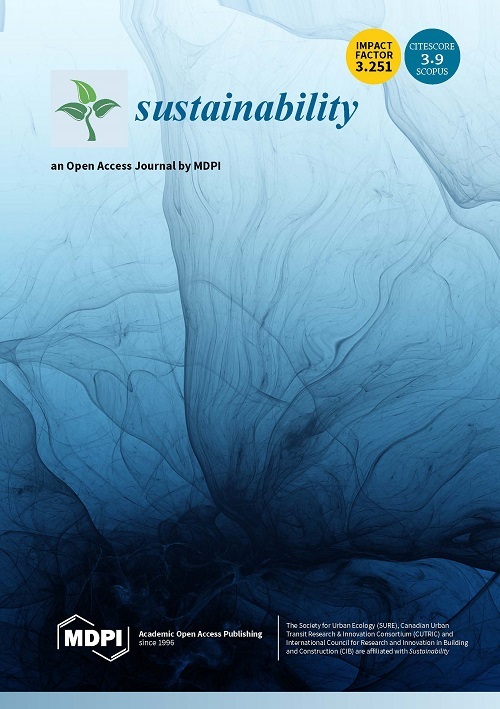 Effects of different production systems on biodiversity and ecosystem function are clear knowledge gaps that should be addressed in future research. Authors: Savilaakso, S.; García, C.; Garcia-Ulloa, J.; Ghazoul, J.; Groom, M.; Guariguata, M.R. ; Laumonier, Y.; Nasi, R.; Petrokofsky, G.; Snaddon, J.; Zrust, M.